WATCH: OUR AMAZING JUNKYARD FIND!!! As many of you know, we've been working on our Toyota MR2 project car and we have been looking for a better interior. Well today we hit the jackpot! A MR2 arrived at our local junkyard and we were one of the first people to get our hands on the car. 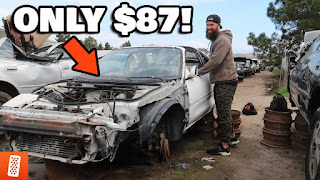 Watch the video to see what we scored in our amazing junkyard find!